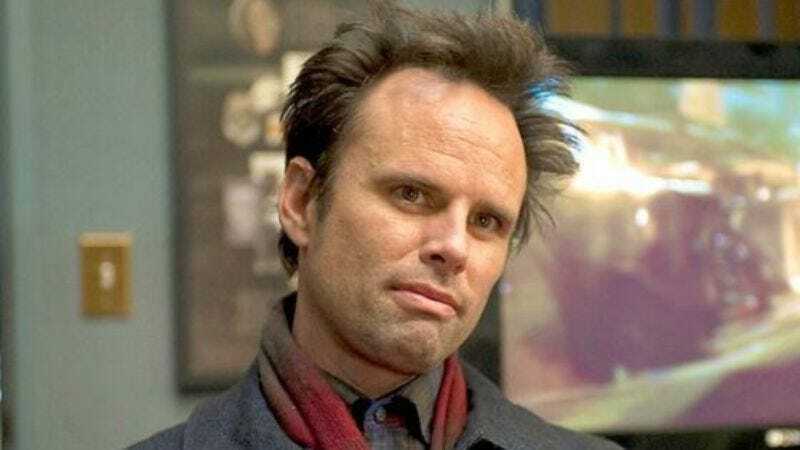 Walton Goggins is set to join American Ultra, an action comedy featuring the explosive, passionate reunion of Kristen Stewart and Jesse Eisenberg, and which one producer has already described as “the most fun you can possibly have in a movie theater without the use of drugs, fireworks, or canola oil.” The film follows a small-town stoner (Eisenberg) whose life is upended when he becomes the target of a government operation set to wipe him out. According to Deadline, Goggins will play a character named Laugher. There’s no word on exactly how Laugher fits into the plot, although his name may indicate that he’s a character who laughs a lot. Or perhaps he’s a character who never laughs, and the name is an ironic misnomer. Either way, the Justified star—who recently guest-starred on Community—will likely turn in a stellar performance that’s immediately overshadowed by the steamy, sensual chemistry between the film’s two livewire leads.